After briefly reviewing the unequal opportunities outside schools that contribute to the disparities in educational achievement, attainment, and various indicators of adult success, this chapter zeroes in on addressing inequities within K-12 education. The authors argue that disparities within the educational system are the product of institutional structures and cultures that both disenfranchise certain groups of students and depress quality overall. Systemic causes require systemic solutions, and they envision a three-pronged systemic remedy: a continuous improvement approach for addressing the quality of educational opportunities for under-served students as well as of the system as a whole; targeted high-leverage interventions consistent with the overall approach but focused on key transition points and needs; and stronger connections between schools and other institutions and systems affecting the development and well-being of children and youth. 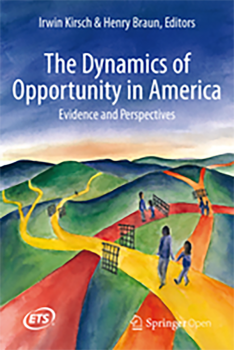 “Quality and Equality in American Education: Systemic Problems, Systemic Solutions” appears in the 2016 ETS publication The Dynamics of Opportunity in America: Evidence and Perspectives and is made available through the Creative Commons BY-NC 2.5 license.